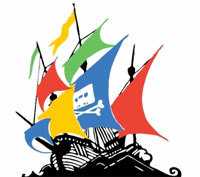 Last week Google released a paper where it detailed all its anti-piracy efforts. The search engine responded to increased pressure from trade groups such as the RIAA and MPAA who pointed out on numerous occasions that Google could do more to address the piracy problem. After the RIAA released a study earlier this year,the MPAA now follows. Yesterday the movie studios released a report showing that Google and other search engines are a major piracy facilitators. - 74% of consumers surveyed cited using a search engine as either a discovery or navigational tool when first accessing a pirate domain. - 20% of the sessions in which consumers accessed nfringing online videos between 2010 and 2012 involved search engines. - Google’s downranking of websites based on the number of DMCA notices is effective, as their share of Google referral traffic remains stable. The MPAA is backed by Representatives Howard Coble, Adam Schiff, Marsha Blackburn and Judy Chu, who presented the study on Capitol Hill yesterday. “Everyone in the online ecosystem has a responsibility to step up their efforts to protect creators and innovators from having their content literally hijacked for mass distribution without permission or compensation,” Congressman Marsha Blackburn says. The study and the political backing make it clear that the debate over search engines’ responsibility to deter piracy is far from over. Now it’s Google’s turn again.